Found this Aurora AFX slot car racing TV commercial starring racer Peter Revson on YouTube. While I don’t remember the ad, I do remember the slot cars. IPMS-Houston member and “Friend of HAMS” Piotr Gamola has started a new business called Toys4Joys that, as modelers, is of some interest to us. He has starting selling COBI Building Blocks which are similar to and compatible with LEGO. COBI are made in Poland, and being Polish himself, Piotr knew of this product and thought Americans might be interested in them. 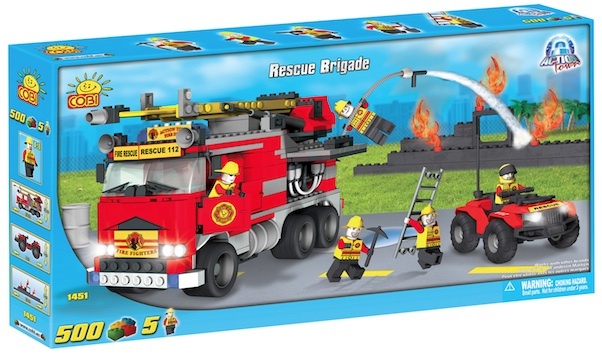 The Cobi sets build into models of different planes, tanks, trucks, etc., and are a great way to introduce children to the hobby of model building. Now, while there aren’t any civilian cars in the line right now (except for a radio controlled Jeep Wrangler), there are quite a number of kits for police, fire, emergency, and city service vehicles. You can see the entire COBI catalog on-line at COBI.PL. Need A Scale Trailer to Haul That Scale Car? 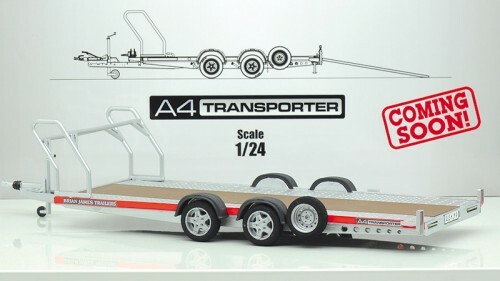 Aoshima has announced new 1/24 scale kit of a Brian James A4 trailer, due to be released this month (December). This is a modern trailer, the prototype of which is manufactured in England. The retail price appears to be in the $30 range, with the usual Japanese on-line stores pricing in the $20s.